Today Hunterweek starts. I have already leveled a hunter to level 90 so I felt that at least for this week I will level up a new hunter. And since I am Horde to the heart I started a Worgen hunter. Haha. Yeah.. But I felt that it was time for me to play Alliance a bit since I never really done that before. 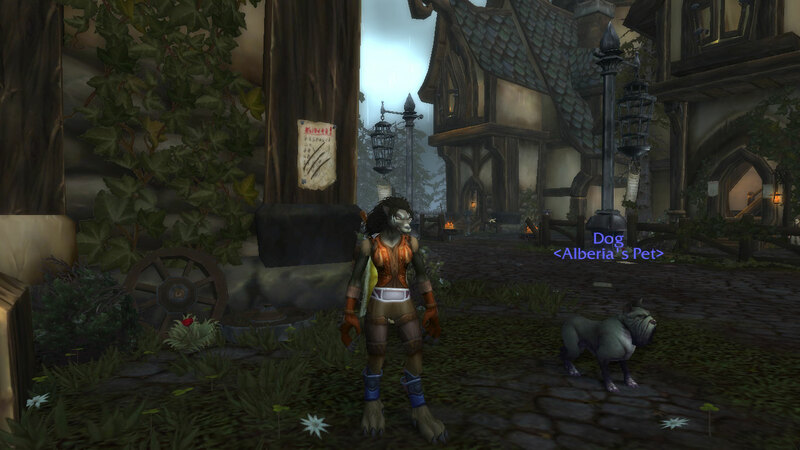 Her name is Alberia as a tribute to my first Worgen I did that also was my first warrior. She no longer excist mostly since she was on the server where I have my horde characters and after level 57 I never played with her. So my Worgen hunter became a tribute and hopefully she will be at the end of the week around atleast level 30. When she hits lvl 15 it is to the dungeons. At level 10 I might try out Battle grounds just to try it as a hunter. Who knows... I might like doing Battle grounds as a hunter. Or I perhaps will not. But why Worgen you might ask. 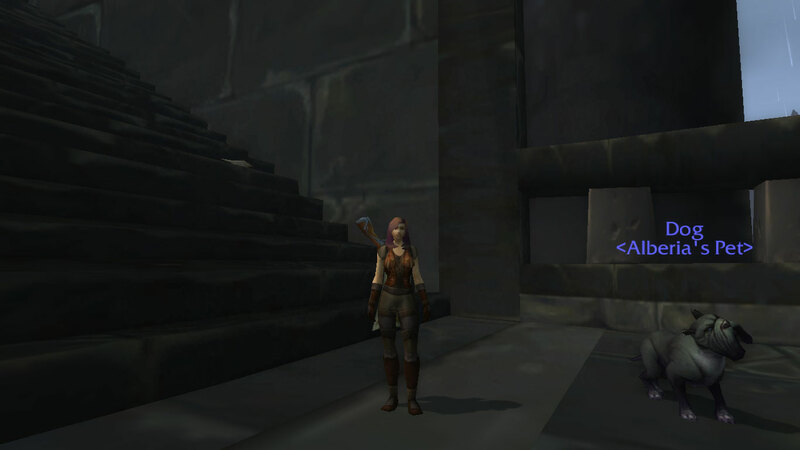 There are other races of Alliance that can be a hunter. Well... I choose a Worgen since I like how Gilneas looks, I like their accent and well.... They look really good when they become Worgens. Yeah I am a fan of werewolfs. Not the ones from Twilight.. Oh god no! No I more like werewolfs that are well... Mature (yeah I said it. Don´t think the ones on Twilight are mature). At the moment her companion the dog you get has not been given a proper name. So it is still dog. A name will be thought out later. Hunter is the class I first fell in love with and that was with the same hunter that is now level 90. My sweet Troll hunter Salvira that I posted a picture of in an previous post. If not found I will post one later as I will write more about my favorite class. A picture of Alberia when she becomes an Worgen will be posted as well since I think I made her cute. Oh.. I didn´t realise where I was. The picture of her Worgen form you will get so see in this post.